When we hear about arthritis, we often think of it as an age-related disease; so what does anti-inflammatory foods have to do with this? The term for this inflammatory disorder actually covers over 100 different types of rheumatic ailments and conditions. Arthritis affects your joints and the tissue that surrounds them, as well as the connective tissue. 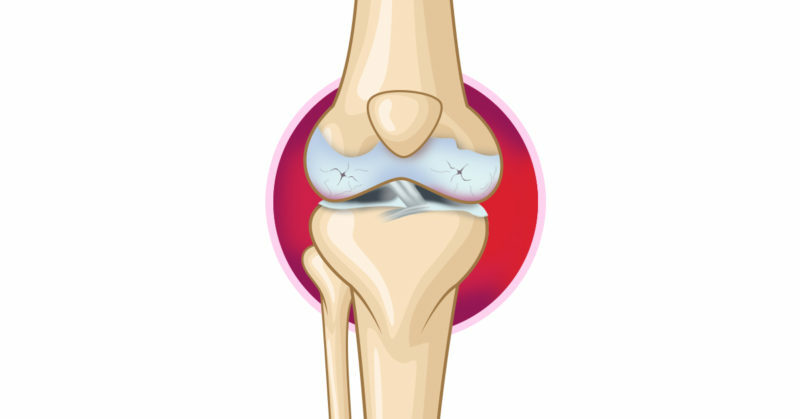 The most common forms of arthritis are rheumatoid arthritis (RA), osteoarthritis (OA), fibromyalgia, and gout (1). While each of these conditions can cause varying degrees of pain in different areas, any type of arthritis can severely limit your life in many ways. Luckily, the condition can be managed by eating anti-inflammatory foods. While the largest percentage of people diagnosed with arthritis is people over 65 (almost 50 percent), just over 7 percent of the population between 18 and 44 also experiences this often debilitating disease (2). What’s more upsetting, however, is that almost 300,000 babies and children in the US alone also suffer from arthritis or a rheumatic condition—that’s 1 in 250 kids (3). In general, 1 in 5 Americans (5 million) currently suffer from arthritis. According to the Centers for Disease Control and Prevention (CDC), however, that number will rise to over 78 million by 2040 (4). Typically, arthritis pain results from an injury of some form to your joints, whether it is caused by an accident. It may also occur because of physiological issues and autoimmune conditions. In either case, damaged tissues release specific chemicals that alert nearby sensory nerves. Once signaled, the nerves send a message up your spinal cord to your brain, which processes the message and then sends a “danger” signal to your motor nerves causing them to take immediate action. A good example is if you touch a hot stove. Your automatic response is to pull your hand away before you cause more damage. In either case, damaged tissues release specific chemicals that alert nearby sensory nerves. Once signaled, the nerves send a message up your spinal cord to your brain, which processes the message and then sends a “danger” signal to your motor nerves causing them to take immediate action. A good example is if you touch a hot stove. Your automatic response is to pull your hand away before you cause more damage. Our bodies also spontaneously manage pain by releasing “painkilling chemicals,” known as endorphins. Your brain also sends “blocking signals” through your nerves to stop your body from receiving any further pain messages, essentially cutting off the sensation (5). Currently, the conventional treatment for arthritis pain includes nonsteroidal anti-inflammatories (NSAID) such as ibuprofen, aspirin or when severe, even steroids such as prednisone. While these medications may help to relieve pain symptoms temporarily, they do not address the underlying cause of the disease. Plus, they are proving to be dangerous, especially if taken long-term (6). NSAIDs are linked to ulcers and even strokes, hypertension, kidney disease and cataracts. In fact, research published in Lancet, clearly shows that your risk of heart attack increases by as much as a third after long-term use. Plus, the risk of heart failure actually doubles for chronic and heavier users of NSAIDs (7). 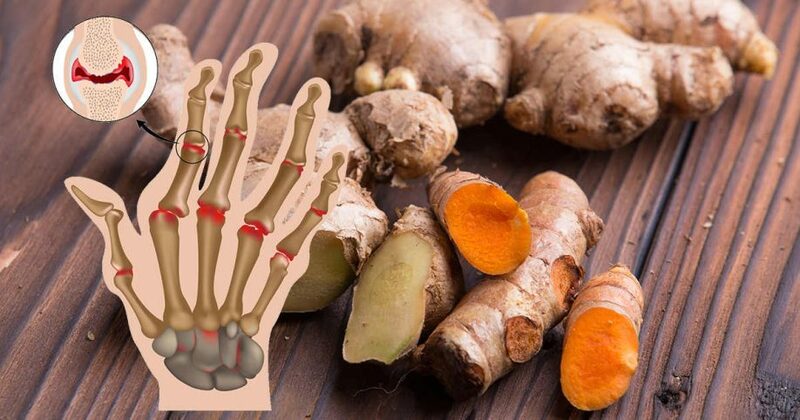 What your doctor will not likely tell you, however, is that there are other, more natural ways to treat arthritis. One such way is simply through diet. Inflammation is the main cause of arthritic pain. Luckily, there are a number of foods that can not only help to reduce inflammation once it occurs but to also prevent it. 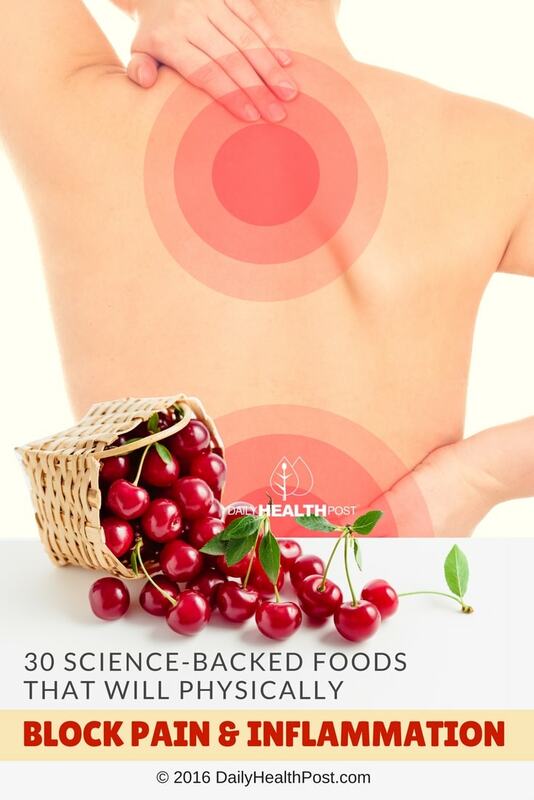 Certain foods can further help to block the pain signals and even better, heal existing damage to your joint tissues and cartilage. Just like some foods can help heal arthritis, others, like all processed foods and sugar, can contribute to the condition, causing more inflammation. Standards of the inflammatory diet include processed fats, caffeine, and alcohol. 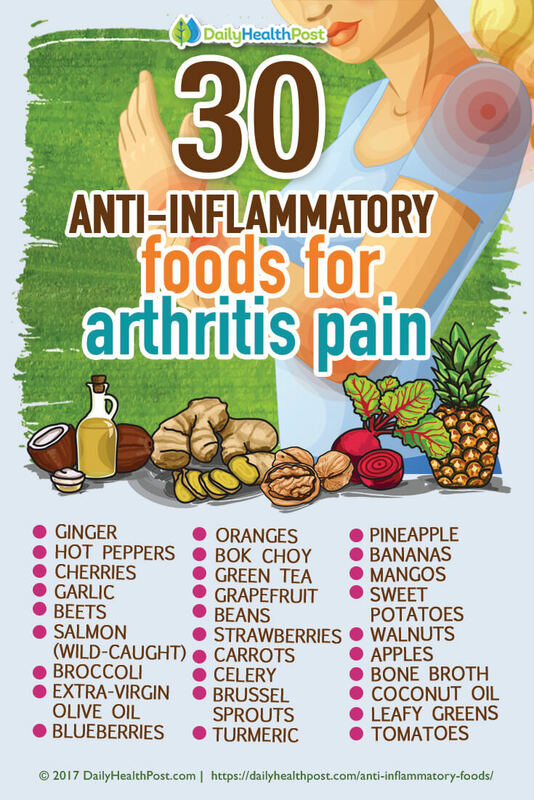 Here are 30 of the best foods to eat for arthritis. By learning how to eat healthy and avoid inflammation-causing foods, you can eventually relieve your arthritis pain and heal your body. You can even prevent inflammation and ultimately serious disease. Here are a few standards of the low inflammation diet.